While uploading your CV tends to be free of charge for a candidate, job boards usually charge recruiters for accessing their database and getting your contact details. Therefore, before a recruiter buys your contact details, they want to be sure your profile really interests them. Some job boards will only show a general description of your profile while others show everything except your contact details. When entering your CV details into a job board you usually get the option to fill in various text fields and choose from a long list of drop-down menus. And then there’s always an option to simply upload or copy-paste your CV. When you’re actively looking for work and have to post your CV on various job boards and company and recruitment agency databases, it is tempting to want to save time and choose the latter option. However, if you really want recruiters to find and call you, take the time to describe your current position, title and target job and fill in all the fields required. A recruiter puts in combinations of keywords to find the candidate they are looking for. If the exact words for the skills, qualifications or experience that they are searching do not appear in your CV, you will never appear in the search results. For example, instead of putting “computer literate” you should specify that you’re proficient in Word, Excel etc. Otherwise if a recruiter is looking for somebody with advanced Excel skills, your CV simply won’t show up in a search. Before writing your CV, imagine what search words a recruiter might use to find someone like you for your target job. Don't presume that because your previous company used one job title, all companies and recruiters will use the same one. If your title in your previous company was IT Analyst and you were giving support to the company’s customers, for clarity’s sake, you might want to call yourself a Support Engineer in your CV. Therefore, it is important to think not only about using correct grammar in your CV, but also the exact words you are using. Last but not least, online databases usually present search results to a recruiter based on a match between keywords and a CV in a chronological order. That means that recently updated or visited candidate profiles will get a higher ranking. Moreover, a recruiter might hesitate to buy contact information for a candidate who hasn’t visited their profile in months, thinking they’re probably no longer looking for a career change. Therefore go and visit your profile once in a while to keep your profile relevant if you are actively looking for new opportunities. For all the reasons above, as a recruiter I would suggest you to go through your CV and be active on the job boards you’re interested in order to increase your chances of receiving a call with a job opportunity. - Are these the oddest jobs in the world? 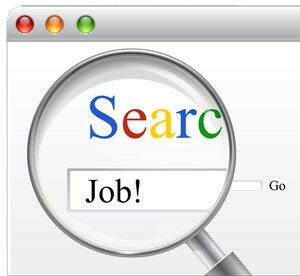 Optimizing your CV for job site search engines, I like it! What would this be called, JSEO? Hi Ben, sounds like you just expanded the terminology of SEO! Definitely an interesting topic, especially nowadays. I found very useful information from your post on POSITIONING YOUR CV ON JOB BOARDS. I appreciate your nice presentation that helps to understand the topics easily. Thanks for your informative post.